Welcome to the Industrial Research Group in energy technologies and energy efficiency (Groupe t3e). Please note that this site should be updated this year. It nevertheless involves sections where the information is more than 12 months old. If you think to submit a file to work with us, consult the pages "For students". For more information, contact Daniel Rousse directly (daniel@t3e.info). 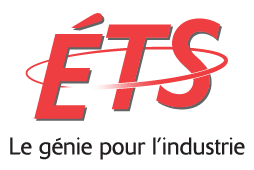 The Industrial Research Group in Energy Technologies and Energy Efficiency (t3e) of École de technologie supérieure du Québec has a long tradition of excellence in research and training. This Group and its industrial, institutional and academic partners provide a unique and dynamic environment in relation to projects that are both fundamental and oriented towards industrial applications. The t3e Group participates in many activities such as international multidisciplinary research collaborations, support projects for industries and companies, and the organization of conferences, congresses and seminars at home and abroad. Whether you are a student, a scientist or an industrialist, we hope that this site will give you a clear picture of research and training opportunities. Groupe t3e benefited from the support of an Industrial Research Chair from 2010 to 2015. It is currently supported by grants, contracts, private sponsorships and by the exceptional philanthropic donation of Mr. Michel Trottier who has agreed to sponsor the Group activities up to 2025. The students, the researchers and the Group Director are greteful to Mr. Michel Trottier for his extraordinary support.